Sorry for the lack of update but the real life is really a pain sometimes. 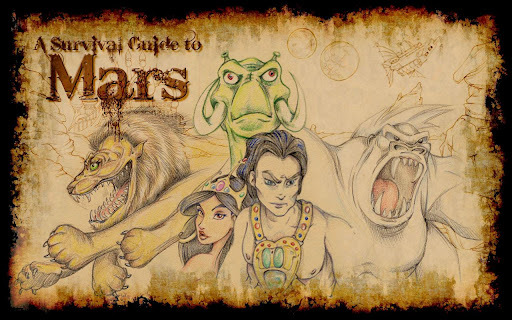 Today something different, a review of A Survival Guide to Mars, an interactive guide to the planet Barsoom for the Centenary of “A Princess of Mars”, and the cause of the lack of update. In fact I'm one of the authors. And this was an epic work. 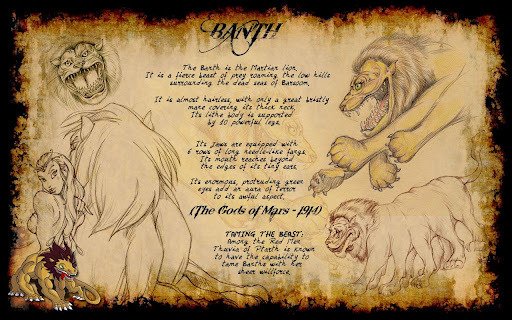 The Blue Monkey Studio has developed a Barsoom temed app for android and ipad. At the moment the Apple version (called "A Walk under the Moons of Mars") is still on review, but the android version is on sale! If you get lost on Mars you will need this guide! 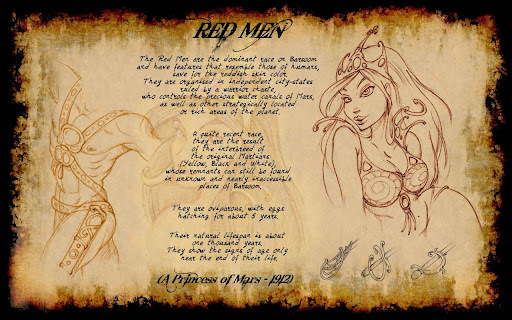 Travel through Red Planet with John Carter! Learn how to face a Barsoomian lion or to feed in the endless deserts with the milk of the Mantalia! 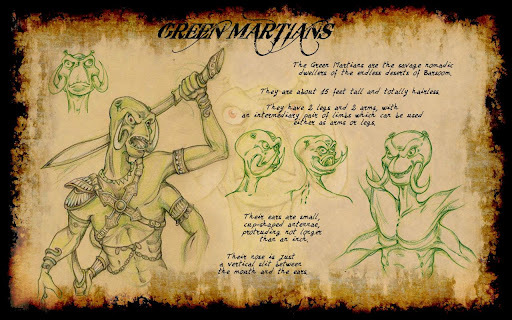 Meet the savage Green Martians, the seductive Red Men and the mysterious Therns! Explore the ruins of the Ancients till the valley of Dor and the Lost Sea of Korus! Discover the Solar System as E.R. Burroughs reinvented one hundred years ago! The Guide is optimized for Android Tablets!